Sometimes, when you read a book, you realize that you are not just reading a story--you are reading Literature. That was my experience with We Are Water. I almost feel as if I would have to read this, at the very least, one more time to really "get" it. 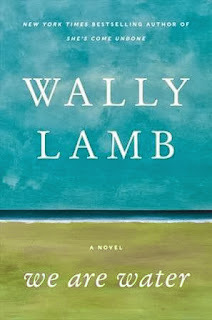 In this book, Wally Lamb is a master when it comes to bringing real-to-life characters together and tearing them down to their bones. As a fan of character-driven novels, this was right up my alley. To be honest, there were things about this book I really didn't like--and that is in no way a criticism. This is not a book where everything works out just perfectly and all the characters live happily ever after. 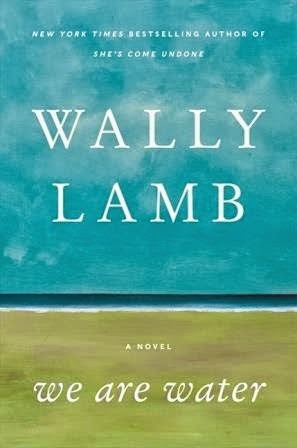 There were parts of this novel that were just painful to read--whether because of subject matter (pedophilia and physical abuse) or just because of the raw emotion Lamb brings out. However, readers are not supposed to like it--they are supposed to experience it. I finished reading this book only a short while before beginning to write this review and I'm still processing it all. There were a few areas where I felt the book fell a little flat. I never really understood why Annie was with Viveca and I wish Lamb had brought us more into the heads of Ariane and Marissa. But, overall, this was a book that drew me in as few books do. I received a copy of this book in exchange for an honest review. I received no other compensation fo this post. Want to read more? Check out some of the other stops on this tour! Links go the blogs, not the specific review. I'm planning on listening to the audiobook. I figured it might be intense but still worth reading (or in my case, listening). I know what you mean about reading Literature. I'd be interested to see if you'd react differently to any parts of this book on a second (or third) read.